I'm feeling so sleepy right now, trying to get my work done before my weekend trip to Bangkok. Literally falling asleep at my desk! Been swamped with a million things to do, good thing is I got most of them done. I don't like coming back from a holiday to a ton of chores and work. This trip to Bangkok will be just us girls; Michiekins, Mama Pea, Agent #2 and myself. We've never really had a trip on our own, just the four of us, before. So this holiday, will be epic! 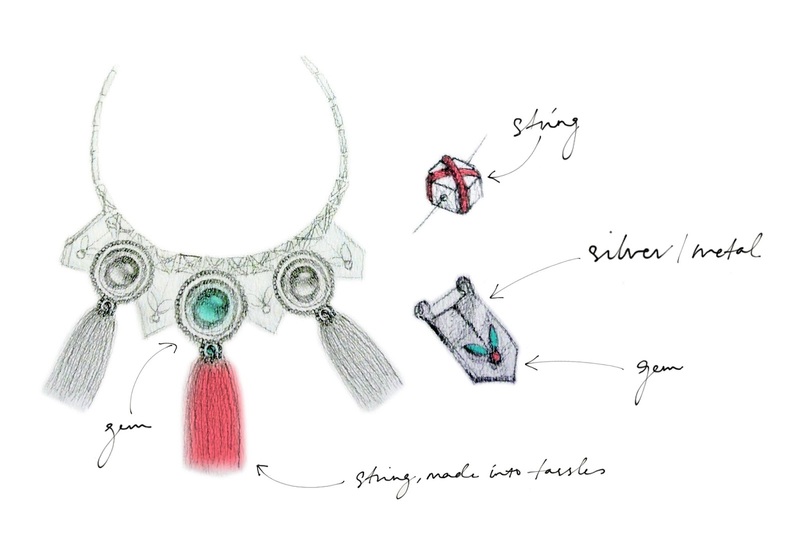 On a separate note, it's finally the last day before PuntoJewelry.com closes votes for "I Wanna Be A Fashion Designer" necklace design competition. It's a close fight between Michela and myself. It has been such an incredible journey. Since I began spamming everyone's Facebook timeline with 'please vote for me' posts, I'm not sure if I'm just self conscious, but I feel like people look at me funny. Like, "Please don't come near me. Please don't come to me and ask me to share your stuff. Argghhhhh". But I also know many people who are genuinely worried that I'd be devastated if I didn't win. To be honest, it would be a little sad but this entire journey has been so great that I think that it will be totally okay if I didn't win. I was never the sort to promote or market myself like this, so this has given me the opportunity to open myself a little more to everyone? Along the way, I've gotten to know so many really nice people, people I really did not expect. Many of them strangers. So many of you have been so supportive and kind and that alone is priceless. So this will be the last of me promoting (I know many of you will be sighing with relief!). If you'd like to vote now, you can still vote until 6 a.m., 29th of August, Kuala Lumpur time. Just click here. *in Thai accent* Love you long tiimeee!